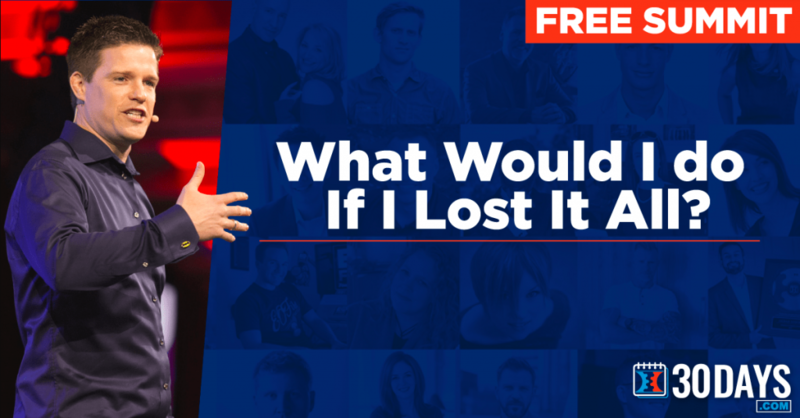 The 30 Day Summit by Russell Brunson – it’s an online event/summit where 30 online millionaires share the 30 day strategies they’d use to do it all again from zero. The 30 Day Summit is really simple. The idea is that Russell interviewed 30 online entrepreneurs who have made it into the 2 comma club. What does that mean? It means, they have made a minimum of $1,000,000 with their online funnel. And they were challenged to break down their day by day plan to get back to where they are now (which for most of them is well over $1 Million). Why is the 30 Day Summit Free? That means you would need approximately 45 FREE hours in 3 days to be able to take full advantage of this summit. So that’s the catch. If you want access for longer than 72 hours, you must pay $100. Would you trade $100 for $1 Million?? That’s probably the dumbest question you’ve ever seen, right? I mean who the hell WOULDN’T trade $100 for A MILLION bucks!? Basically everyone and anyone and their dog. With that being said, let’s be honest with ourselves – $100 isn’t cheap …. BUT it also isn’t a lot to invest into your personal development and moving your success to a million and beyond. Similar to the question above, this is the dumbest objection I’ve heard so far. Ask yourself this: how many hours do you spend watching TV or Netflix every day? I bet you spend at least 1 hour each day on one of those (I know I do). If you were to spend that hour investing in yourself for 30 days, you would have enough time to enjoy the benefits of the 30 day summit.